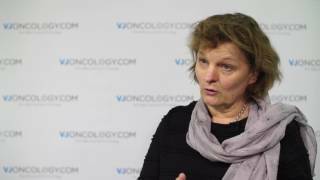 Annie Young, PhD, of the University of Warwick, Coventry, UK, discusses cancer-associated thrombosis. Not much attention has been paid to thrombosis but with improvements in CT-scans, experts are now able to better pick up on the cause of thromobsis or patients who have an increased risk of clots. Dr Young mentions factors that lead to an increased risk of thrombosis, these include: the tumor itself, chemotherapy, central venous catheter, and some of the newer drugs. 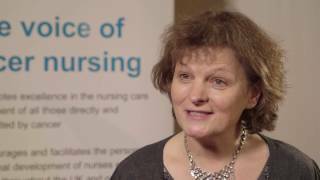 Recorded at the 2016 UK Annual Meeting of the Oncology Nursing Society (UKONS), held in Brighton, UK.